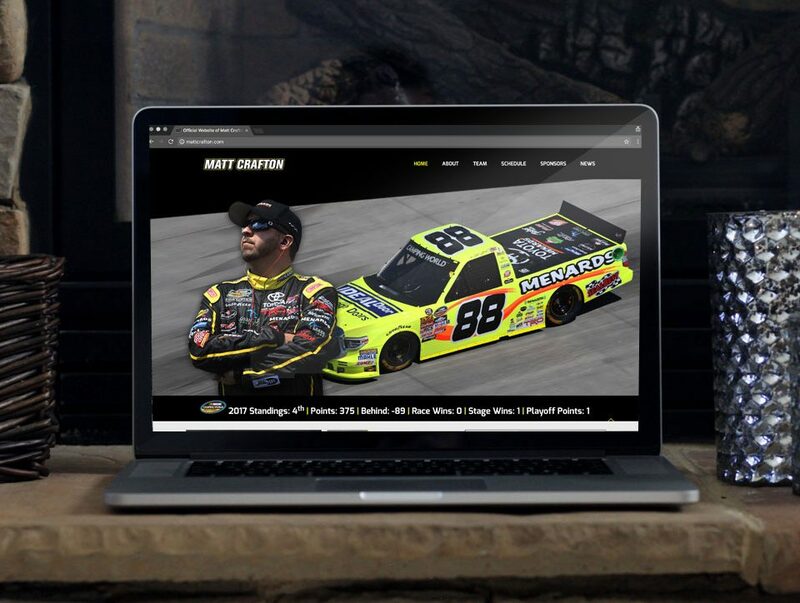 Win every day with a website that will showcase your program, keep fans updated, and have sponsors begging to work with you. 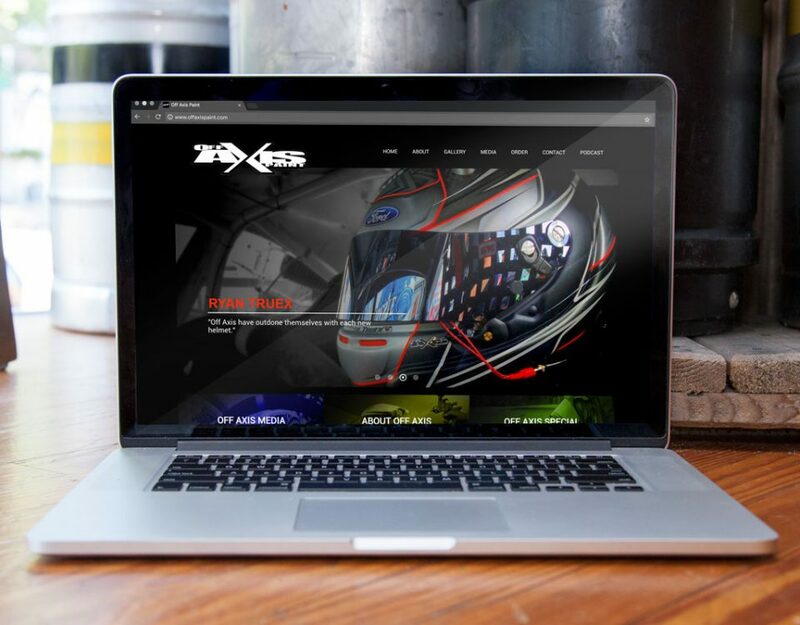 From race car driver websites to race team websites, and even vendors who serve the motorsports industry we cover all aspects of racing. 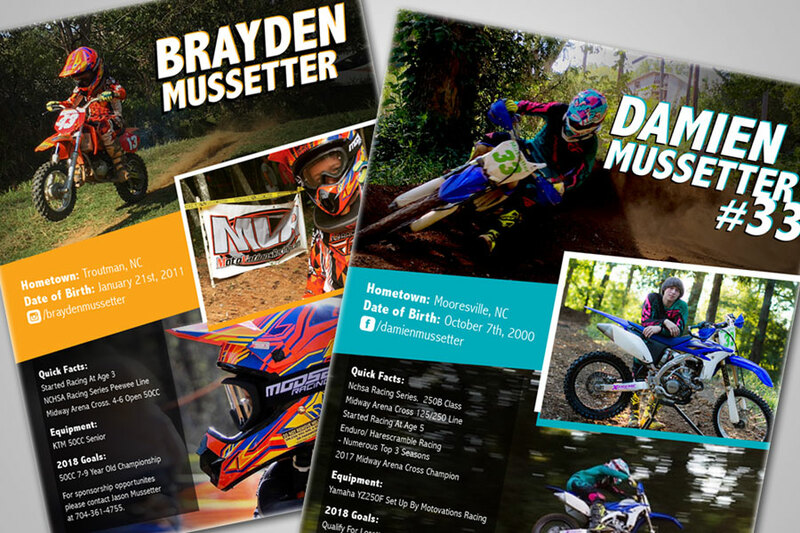 Designed specifically for your sport, team or series. eCommerce Ready - sell that swag! Introductory and Discovery Meeting - you will meet with the designer directly so we can discuss your needs & goals. Proposal - once we have a solid understanding of what you want to accomplish, we will send a complete proposal for your review. This proposal will contain our greatest recommendation based on your needs and wants learned during the discovery meeting. Development - after you sign the proposal, we’ll start working on your building your website, while you focus on you. We will keep you updated throughout this stage to ensure we are developing exactly what you dreamed of and more. Launch - once your new website launches, the only thing left to do is tell all of your fans friends, and family how great it is! BLAST OFF! P.S. this is when the champagne gets poured, or sprayed victory lane style. SharpFinn is dedicated to drivers and teams that are ready to establish a serious web presence, and every client is different. For that reason, every website we build is customized from the ground up, with the goals and needs of each client in mind. Below you won't find cheap options based on reusing pre-existing templates over and over. Flat-rate website packages are custom designed, strategically built to attract sponsors and smartphone optimized begin and at $3,000. Packages include one-on-one training so clients can update the site themselves. Of course we're always here to help if you need it. Monthly website plans, including design, development, website hosting, domain registration, maintenance and content updates start at $250 per month. 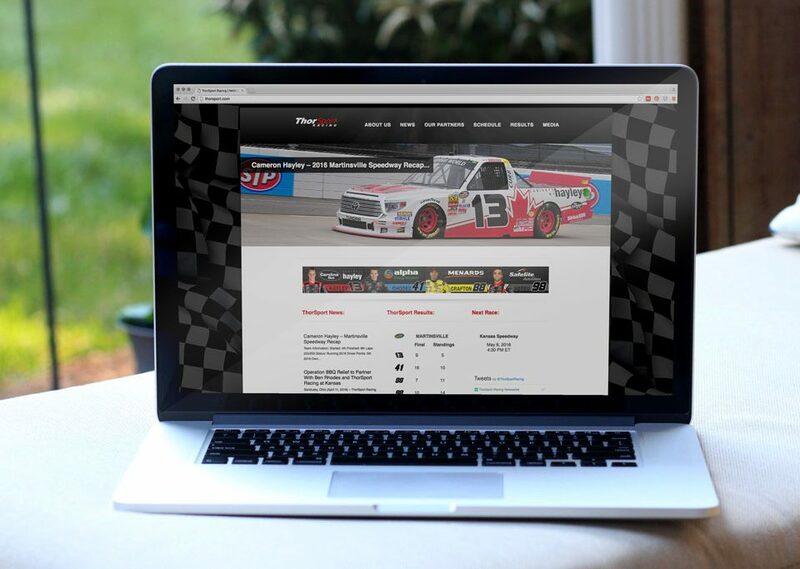 We'll track your success at the track and update your site constantly so your fans are always up to date. 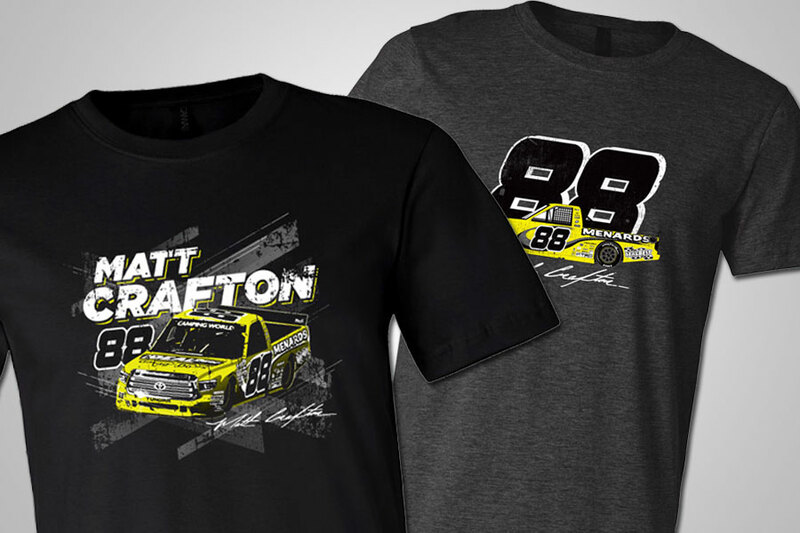 We can even handle merch, including design, production, sales, and shipping. Start your engines, and request a quote. Graphic Design - We do more than websites. 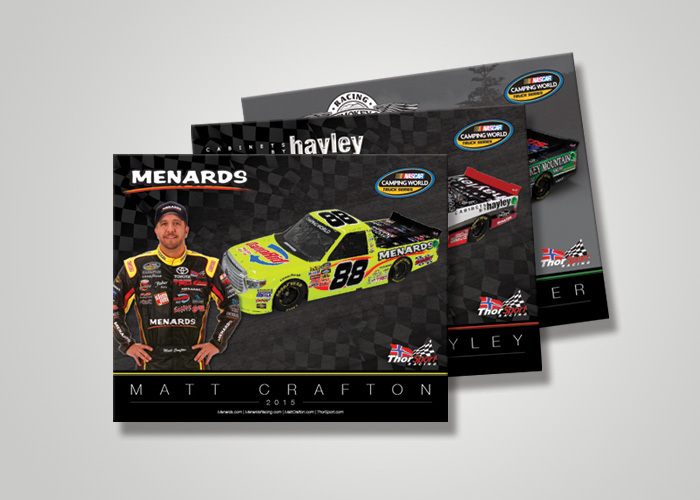 Including driver suits, hero cards, race car graphics and tshirts. Social Media - We can help you brand your social media pages to match your new website, or help you manage your accounts. Photography - Don't let your facebook selfie or a poorly lit photo be the image that pops up when sponsors google your name. Not convinced yet? Check out some of our recent work.